Do you need a bigger file? The file available on this site is 1024 x 719 px. To obtain an alternate file type or higher resolution copy, please contact the owning institution. 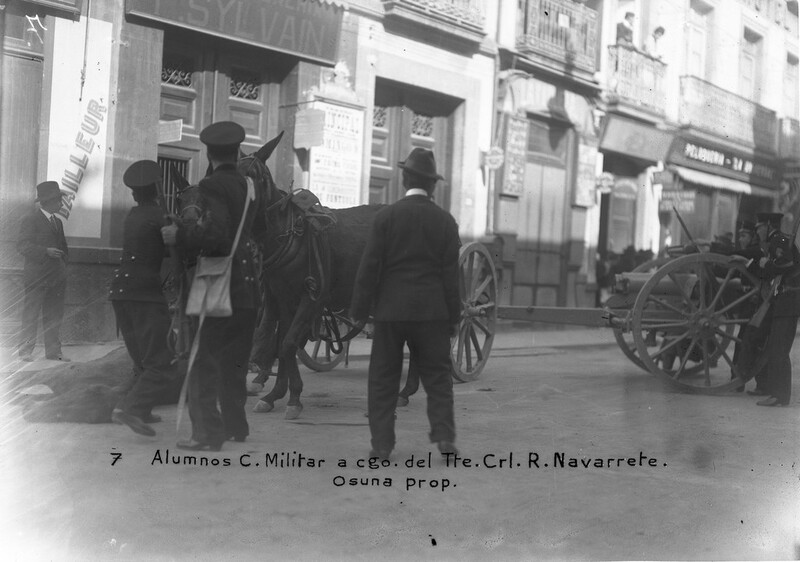 Scope/Content: Scene of soldiers, cannons and horses in a crowded street, including a dead horse on the ground on the left side. Building sign in the background reads "Sylvain." [No.] 7 Alumnos C. Militar a cgo. Del Tte. Crl. R. Navarrete. Osuna prop.